Hanukkah Holiday Gift Baskets (Kosher) offer everything to enjoy a gourmet Hanukkah this year! Each of these delightful Hanukkah baskets contains 100% kosher selections. Each of our products is carefully chosen and certified Kosher, ensuring the highest quality. Each of these incredible Hanukkah gift baskets will bring the gift of gourmet elegance to your family, friends, and business associates. 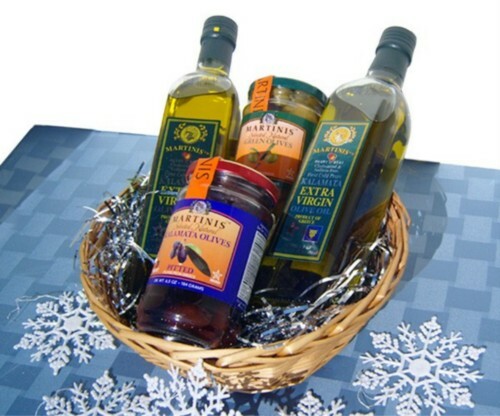 The olive assortment is packed in a handsome reusable wicker basket and elegantly wrapped in Hanukkah colors. (9" diameter x (approx. )7" high, 4.4Lb basket. Shipping box 11"x8 1/2"x5 1/2".